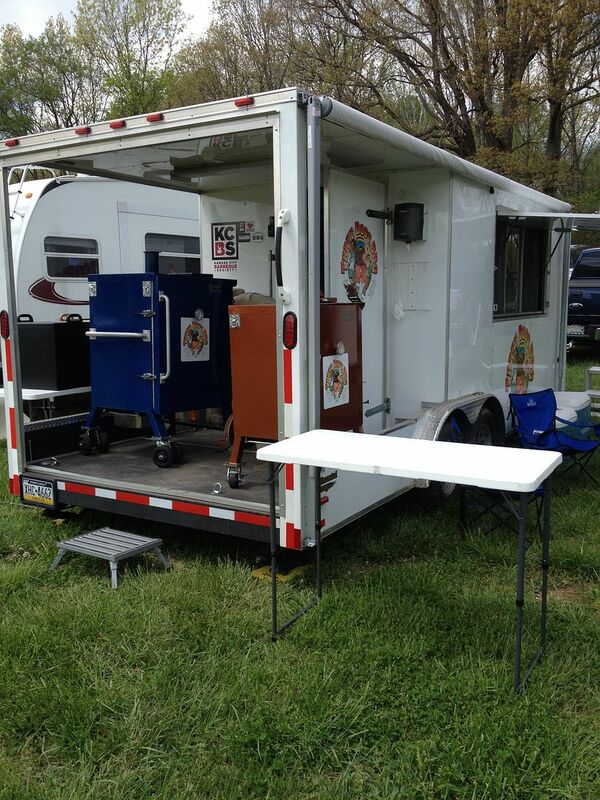 With great anticipation and a chilly morning, we hooked up the trailer last Friday and drove down to the Naptown section of Annapolis for the Naptown barBAYq Contest and Music Festival for our first competition of 2014. 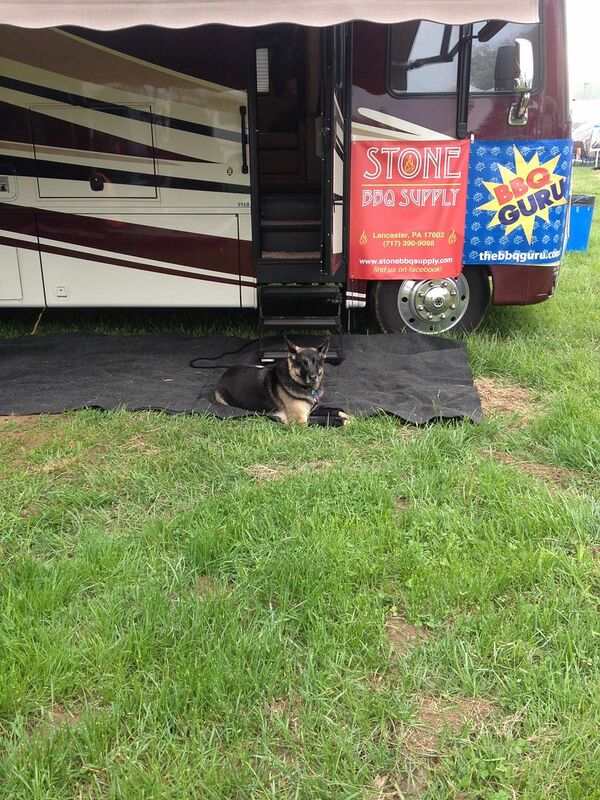 After negotiating the PA Turnpike traffic and construction and the traffic that only the Greater DC area can bring, we finally arrived at the Anne Arundel Fairgrounds and found our spot. It was a pull through spot, so no turning around and backing the trailer into our spot. Things were shaping up nicely. 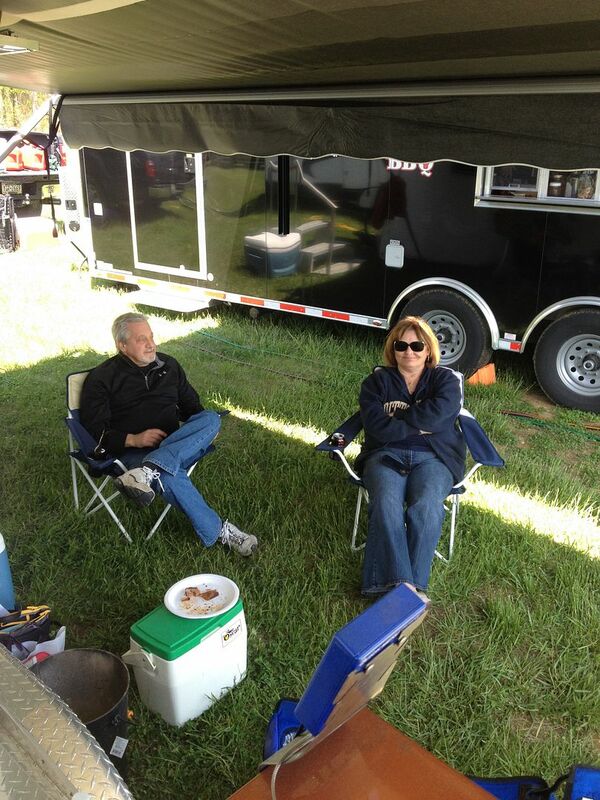 We set the trailer up, put everything in its place, rubbed and injected our butts and brisket, then sit down for a bit to hydrate. 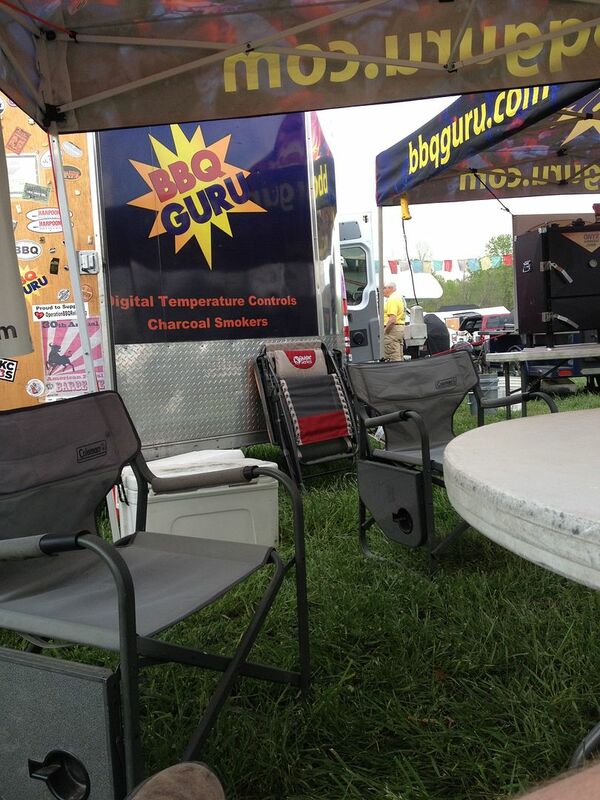 We then stopped by the BBQ Guru tent to pick up some new pit probes. Same price as online, but no shipping. So, another win. 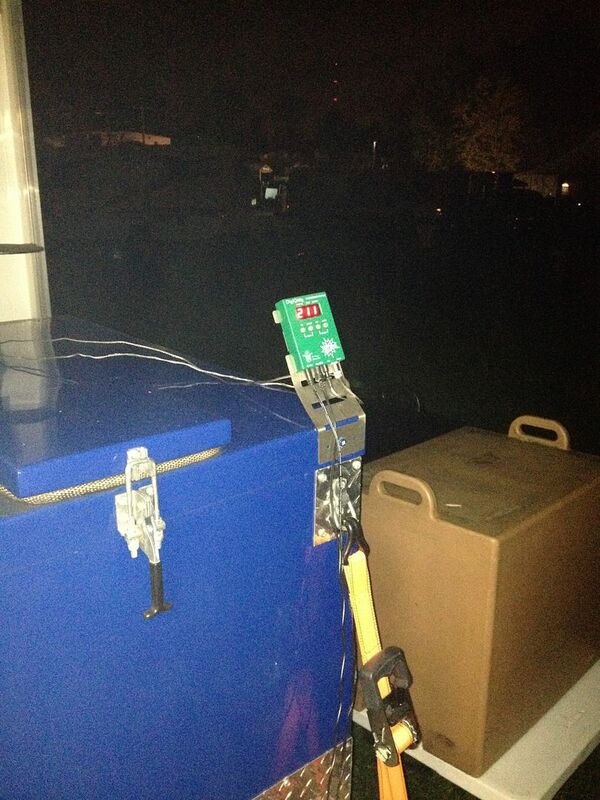 After sunset, we fired up our smokers and waited to put on our larger cuts of meat. Everything is running fine at midnight, so off to bed for some sleep. We awoke to a beautifully smokey sunrise and enjoyed some coffee. 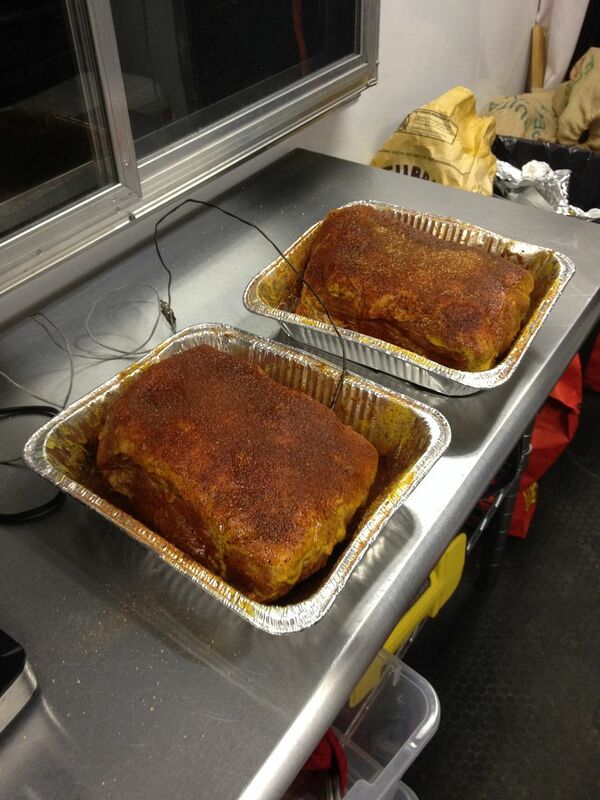 Said good morning to our neighbors over at Lo and Slo BBQ. Prepared the ribs and brined the chicken, it was time to get down to some serious BBQ. 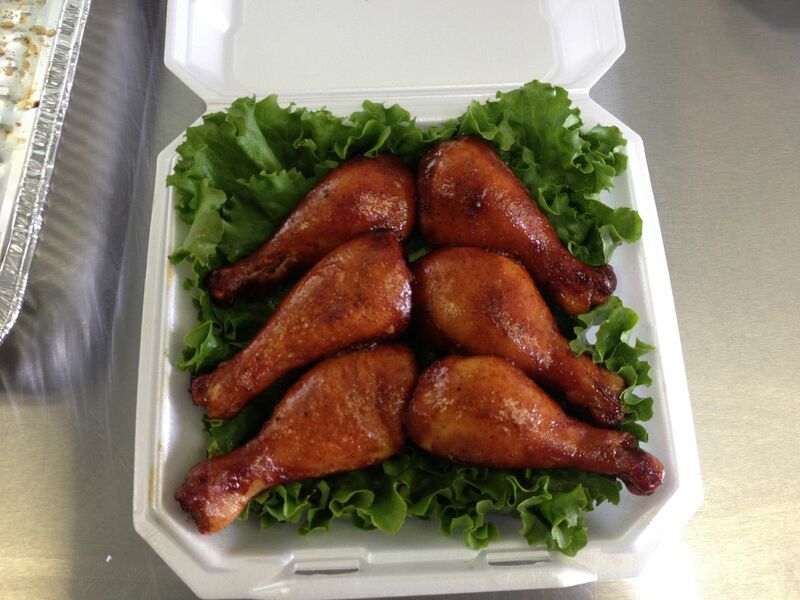 Our chicken entry was good for a 167.9884 out of a possible 180 and 11th place. A team best for chicken score. As you might imagine, I was dumbfounded when I saw the 5 for appearance when the other 5 judges gave 8's and 9's. We probably didn't deserve 9's, but that box is better than a 5. But, they throw out the lowest score, so I got over my issues and moved on. 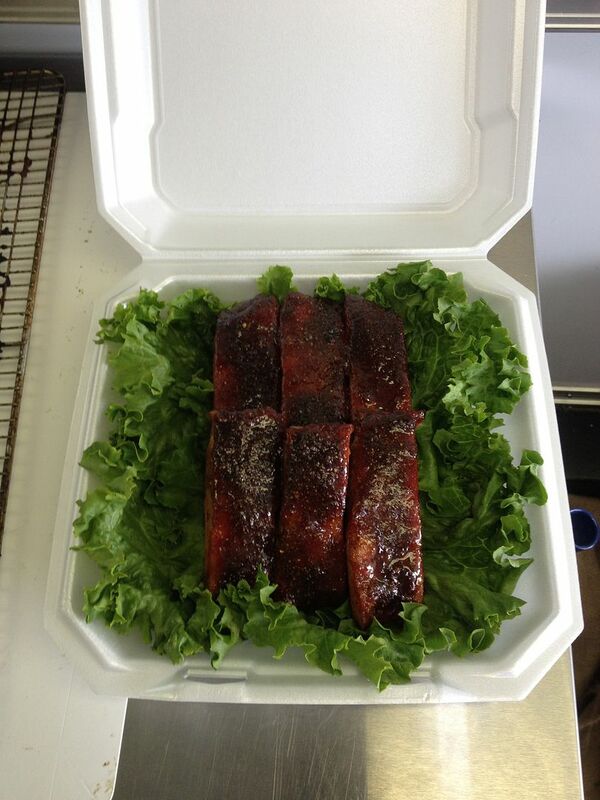 Our ribs were good for 161.6800 and 21st place. Again, a team best for total rib score. They could have been a little more tender. But, we'll gratefully take this score. Thanks for the help Hutch and Chilebrown. 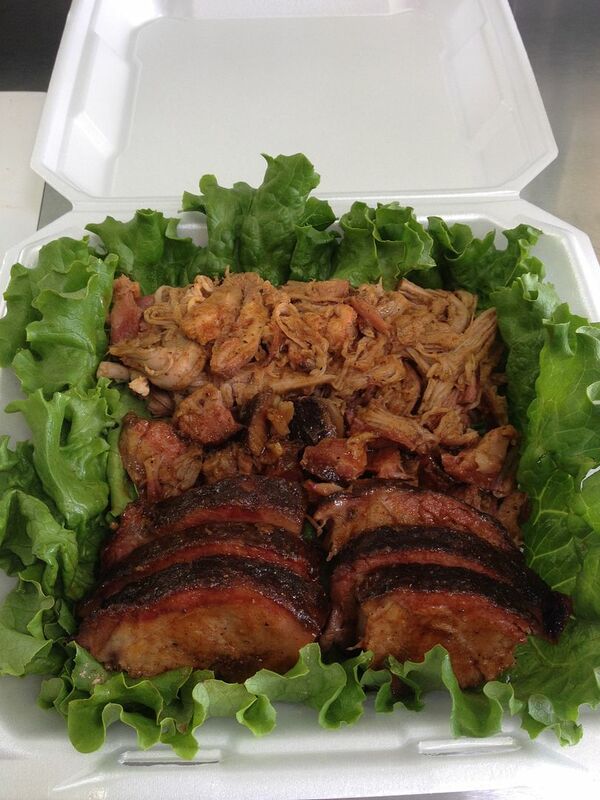 Our pork box was good for a 159.4056 and 32nd place. I thought these butts turned out so good that for the first time, we were confident enough to add pulled, chunks, and money muscle to the box. But, some may have been a hair over done and it may have been a bit under sauced. But, overall, I was good with this score. The above box was good for a 153.1544 and 33rd place. I have to say, I am really proud of this score. Why? That flat was downright dry. Not overdone, just dry. Then, I remembered Lee Ann Whippen on BBQ Pitmasters resuscitating a dry brisket with her injection and 15 more minutes on the smoker. Guess what? It works. Lee Ann, if you happen to ever read this, thanks! So, overall we scored 642.2284. This was good for 22 out of 60 teams. This was our second highest point total ever. Not bad for the first time out in 2014. 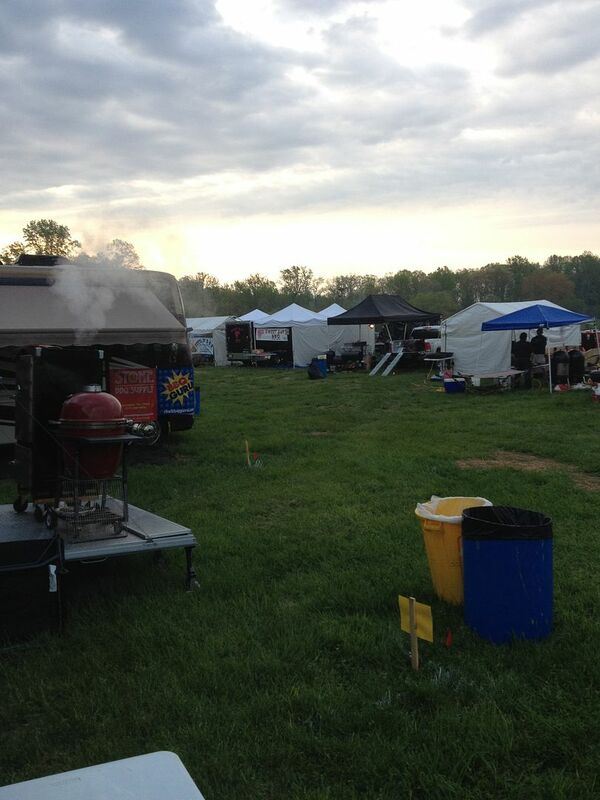 Congrats to 3Eyz BBQ, our Grand Champions and to Lo-N-Slo BBQ, our Reserve Grand Champion. 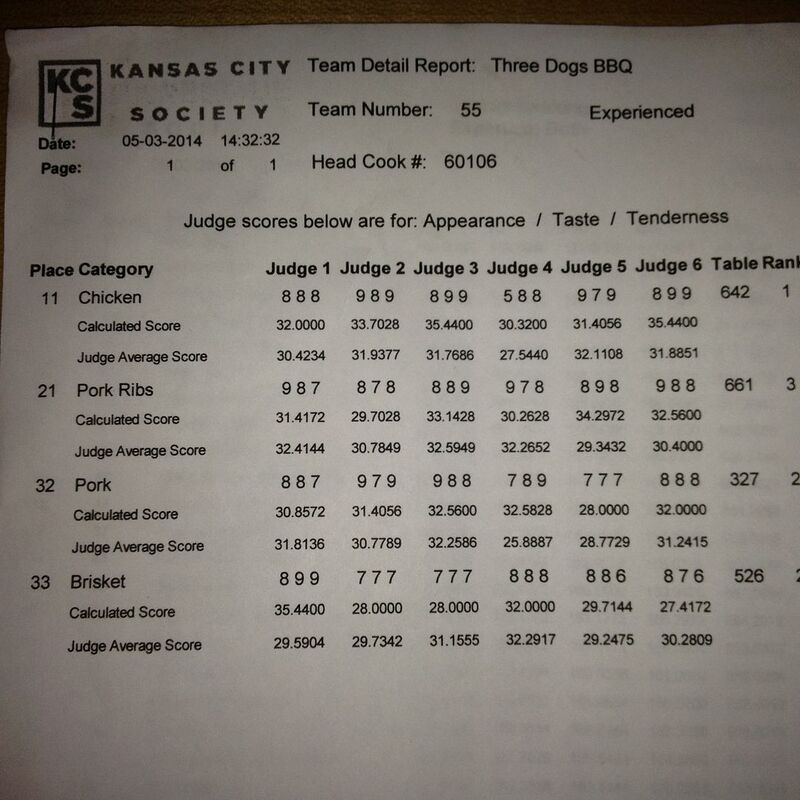 Full results from the KCBS website. 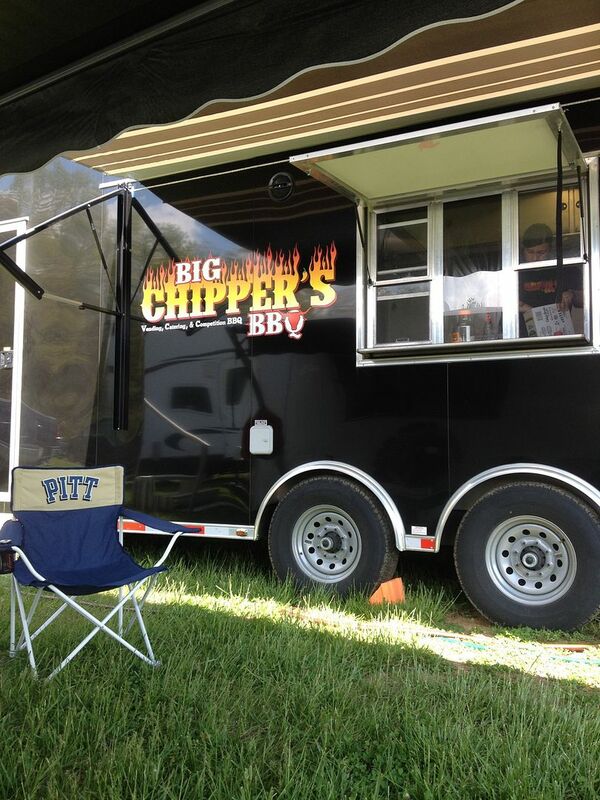 We would also like to say hi to our new friends Chip and Sally with Big Chippers BBQ. Chip, that is one sweet trailer! Finally, thanks to our BBQ Groupies, Deb and Jerry for the moral support and letting us crash at their place on the way home. Overall, we were very happy with our showing this weekend. Hopefully we can mike some minor changes and improve on our scores as the year progresses. 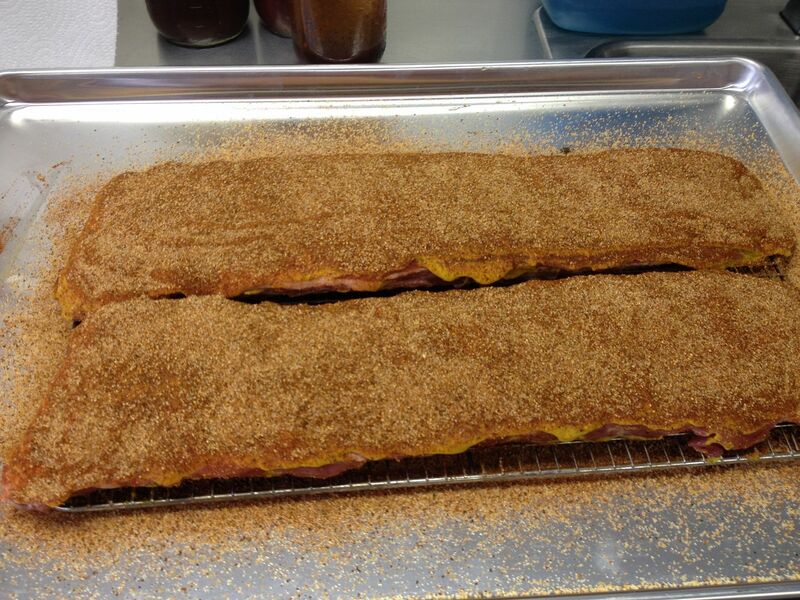 Next up, the Roc City Ribfest in Rochester, NY on Memorial Day weekend. Hope to see you there. I like the California native hydration unit. Did you get a comment card on the score of 5? It could of been a new judge. 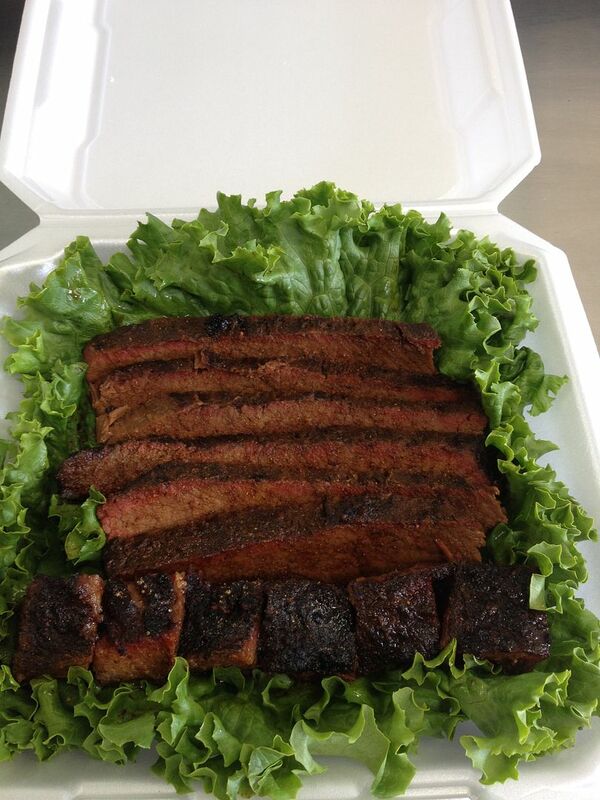 If one person scores out of the norm the KCBS representative is supposed to ask why. Usually they are asked to fill out a comment card to explain their low score. I will send you an email with some more info. Gus, we are more than happy with our results. Hopefully we trend up like we did last year. Chilebrown, I love Sierra Nevada. 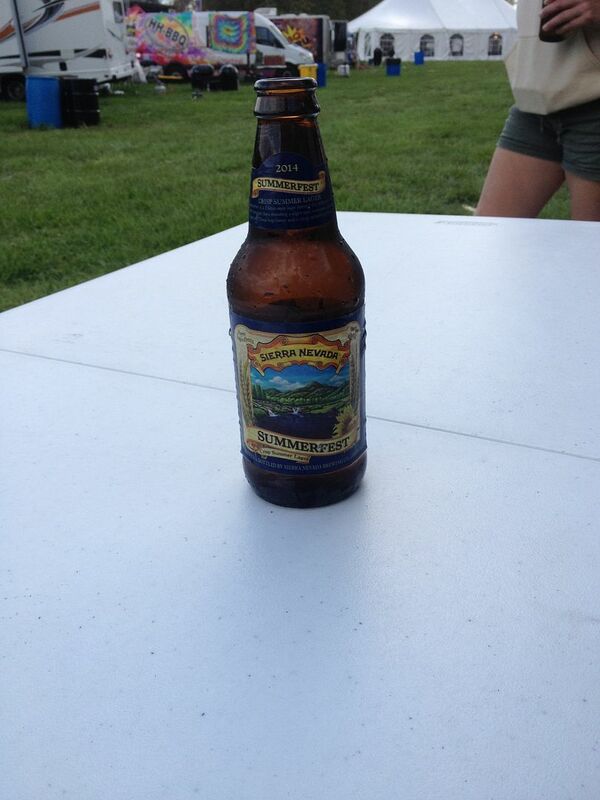 The Summerfest is good. Two thumbs up! As for the judge, I tracked his scores across categories. He was consistently 5-10 points below everyone else at the table, across categories. We were fortunate to get 8's in taste and tenderness. He/she scored much lower in other categories. IMHO, he/she kept someone from a first place rib. Another question/observation is now you know that judge and probably want to give him a piece of your mind or more. What happened to blind judging?. I don't know the judge personally. But, you can follow the judges across categories with the table number and the seat. But, I see your point. While we can follow the judges with the scores, we still don't know who they are.